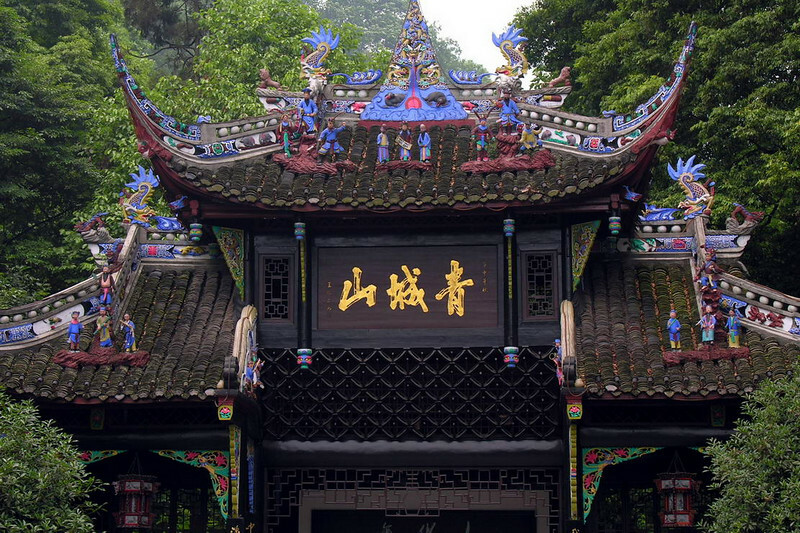 65km west of Chengdu, Qingchengshan Mountain (Qingchengshan) is one of the ancient cradles of Daoism. The mountain has numerous Daoist temples and sites along the paths to its peak. The area is green all year round and is known for its secluded tranquility. Mt. Qingcheng is located at the Dujiangyan scenery spot of Chengdu, Sichuan province. It is a famous mountain of Taoism. Surrounded by countless peaks and densely covered by ancient trees whose branches reaching the sky, the mountain was named "Mt. Qingcheng" (Green Town in Chinese). The mountain includes two parts-the anterior Mt. Qingcheng and the posterior Mt. Qingcheng. The anterior mountain is famous for its beautiful scenery and numerous cultural and historic sites; while the posterior mountain is noted for its paradisiacal scenery, primitive and brilliant, gorgeous and mysterious. With its annually average temperature of 15 centigrade, Mt. Qingcheng belongs to humid subtropical monsoon climate. It is reputed as "Dong Tian Fu Di" (means wonderful mountain and happy place), "the fairyland on earth".